Royal Australian Navy frigate HMAS Ballarat has successfully seized more than 2.1 tonnes of hashish and 345 kilograms of heroin during two boarding operations in the Arabian Sea. The narcotics seizures, worth approximately $105 million* and $103.5 million*, respectively, took place on 28 and 29 January 2019 as part of Operation Manitou. “Ballarat’s success so far has been the result of a complex operation using sophisticated technology, information networks and careful surveillance to detect vessels suspected of narcotics trafficking,” CMDR Johnson said. HMAS Ballarat is the sixth of eight Anzac Class frigates built by Tenix Defence Systems at Williamstown, Victoria, for the RAN. The design is based on the German MEKO 200 frigate. Ballarat is a long-range frigate capable of air defence, surface and undersea warfare, surveillance, reconnaissance and interdiction. 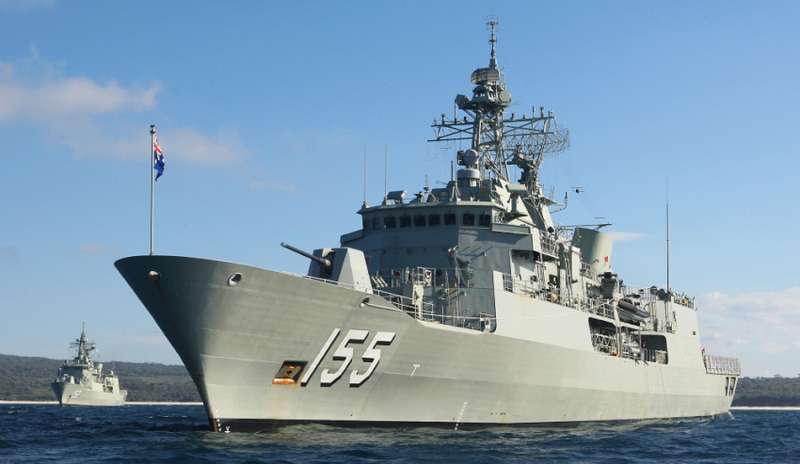 Ballarat’s combat capabilities have been significantly improved under the Anti-Ship Missile Defence upgrade program, which provides an enhanced sensor and weapons systems capability. Operation Manitou is Australia’s contribution to CMF operations, a 33-navy partnership that promotes maritime security, stability and prosperity in the Middle East region. An enhanced security environment ensures Australia’s safe and open access to the region while fostering trade and commerce. *Note: This calculation is based on the Australian Criminal Intelligence Commission Illicit Drug Data Report 2015-16 figures for cannabis resin (hashish) at $50,000 per kilo (p215) and heroin at $300,000 per kilo (p216).